Pixar is a well known animation brand that has brought several major superhit animated movies and top grossers like Toy story and Cars. Now a part of Walt Disney, Pixar’s foundation was laid by George Lucas as Lucas Film’s Computer Division. Steve Jobs purchased it from him and established the group as an independent company called Pixar. At that time, the company employed just 40 people. After Steve purchased Pixar, the company collaborated with Walt Disney on CAPS or Computer Animation Production System which was going to revolutionise the production of animated movies. Till now, it has brought several block busters like Cars, Toy Story, The Incredibles, Monsters Inc, and several more including Brave. Pixar is now a leading name in the world of animated movies. The quality of Pixar movies sets it apart from the crowd and fans are always excited about its upcoming releases. However, Pixar is also a great market and utilises mainly digital channels for marketing. Like most other entrainment brands, it too uses social media for the promotion of its products. Read how the company uses social media networks to market its brand and products. Facebook, apart from being the leading social media network is also the favourite channel of marketers for reaching millions and engaging customers. Almost all major entertainment brands use it to promote their products before a global audience. Facebook has an audience that exceeds 2 billions in size. The platform also offers attractive features to share multimedia content and engage users in discussions. Several brands use more than one account to reach various customer segments throughout the globe. Pixar’s official account has around 14 million followers. The account is used by Pixar mainly for promotional purposes and to engage the followers. It shares multimedia content including videos and images promote new and upcoming movies or art related to the old ones. However, the level of engagement is really amazing. Each post receives hundreds of likes or thousand to two thousand and a large number of shares and comments. The followers like to show their excitement and appreciation through the responses and reactions. Most reactions show appreciation and some criticism. However, it seems the movies pages are more popular than the official account of Pixar. It is because they do not just have larger number of followers but also a very nice level of engagement. While the page dedicated to Toy story movie has more than 30 million followers, the page dedicated to Cars has around 19 million. It reflects the popularity of Pixar and its products. Even some other pages dedicated to specific Pixar movies have a large number of followers running in millions. Instagram is an attractive social media channel and a great platform for marketing entertainment brands. It also offers a large audience of followers as well as several great tools for sharing multimedia content as well as marketing and customer engagement. Just like Facebook, Pixar has several accounts on Instagram too. The official page of Pixar has more than 4 million followers. Other pages are dedicated to specific movies like Cars or Toy Story. Pixar has achieved an impressive level of engagement on Instagram too. Its posts receive thousands of likes and hundreds of responses which reflect the excitement and appreciation of the Pixar fans. Twitter is also a great social media platform and an attractive network for marketing and promotions. It offers some great tools which are most suited to real time marketing. You can connect with your followers in real tike and share with them multimedia content as well as receive their responses. Twitter also offers a attractive platform and environment for interaction. The number of Twitter users is more than 300 millions. Pixar has used several accounts on twitter. Its main account is Disney.Pixar whereas there are whether accounts which are dedicated to specific Pixar movies. The main Pixar account has more than 11 million followers. Pixar remains regularly connected with its fans and posts one to tweets daily. Its popularity reflects in the interactions and how excited customers respond to the tweets. Each post receives thousands of likes and a large number of comments and shares which shows strong customer engagement. Youtube is a great social media network for sharing videos and video marketing. The social media network has a large audience of around 2 billion visitors. It is best for sharing promotional videos with your fans. Pixar has uploaded around 500 videos to its YouTube account. There are 1.8 million subscribers or fast and followers. 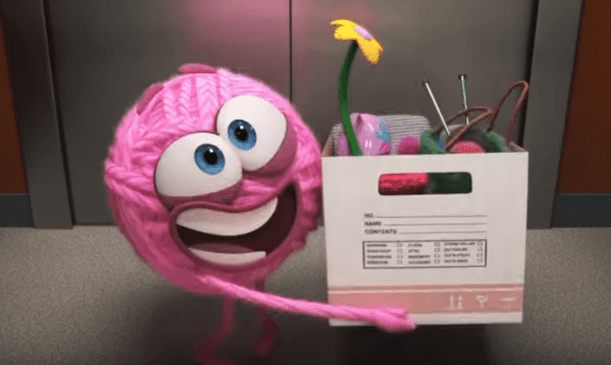 Pixar shares upcoming movies trailers and other behind the scene and fun facts videos on YouTube. Most videos have received thousands to millions of views. The ToyStory 4 official tease trailer has received around 15 million views in just 2 months. It also received more than 250K likes from its fans. This shows very high level of engagement and popularity. Number of comments on the same video is also higher than 30K. Excited fans love to share their excitement and appreciation for the brand and its products. In this way, YouTube is an indispensable channel for marketing of entertainment brands. It’s not just a video sharing platform but also one of the best networks for marketing and user engagement. Linked In is also major social media network and a large platform to showcase your brand and its culture before a large audience of professionals. Pixar has one account on Linked In. However, its activity on Linked In is very low. Despite that it has around 250K followers n this social network. It posts mainly about its organisational culture, technological innovation and special programs on Linked in. However, the number of posts is limited to no more than 1 each week or every two weeks. Like Walt Disney, Pixar is also highly active on the social media networks. It has several accounts on Facebook and one main official account. Apart from having a large number of followers on this site, it has also achieved an impressive engagement level. The animated movies brand is also a good marketer and regularly engages its audience through the social channels. Video marketing is also an important part of its marketing program and it has achieved a very good viewership on YouTube. Overall, Pixar has managed its social media marketing with impressive skill.